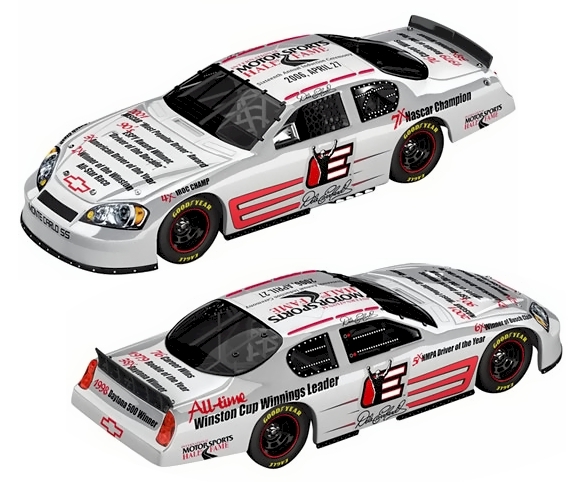 2006 Dale Earnhardt '06 Motorsports Hall of Fame / Chevrolet Monte Carlo NASCAR diecast, by Action. 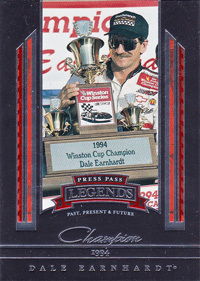 On April 27, 2006, Dale Earnhardt was inducted into the International Motorsports Hall of Fame at Talladega Superspeedway. Fittingly, Earnhardt's final victory was at that track. 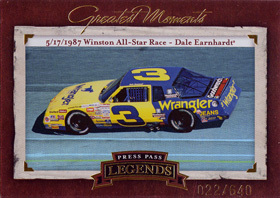 In honor of the legend's 26-year career, this special paint scheme lists his many accomplishments on a sleek diecast. 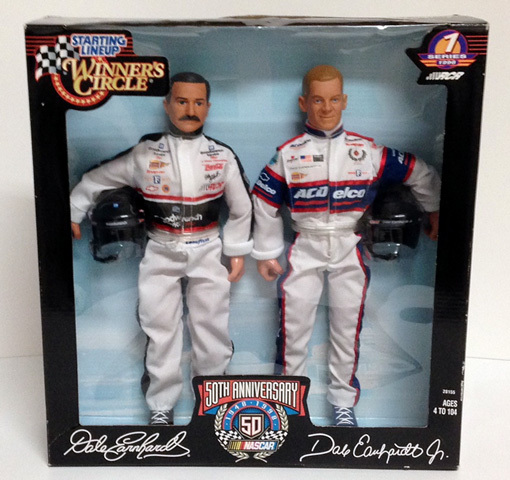 Dale Earnhardt #3 Goodwrench Service Plus / 1957 Chevrolet Bel Air Convertible diecast, by Winner's Circle. Cool Customs: 1/64 vintage diecast stock cars painted in the driver's color scheme. 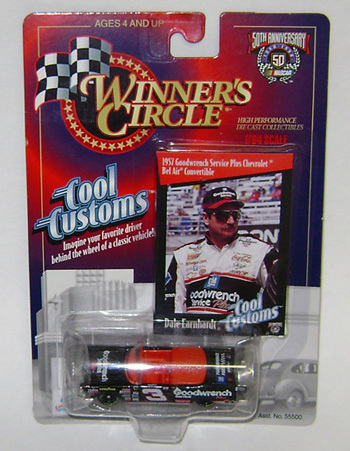 Each diecast car is packaged in a blister pack along with a trading card.